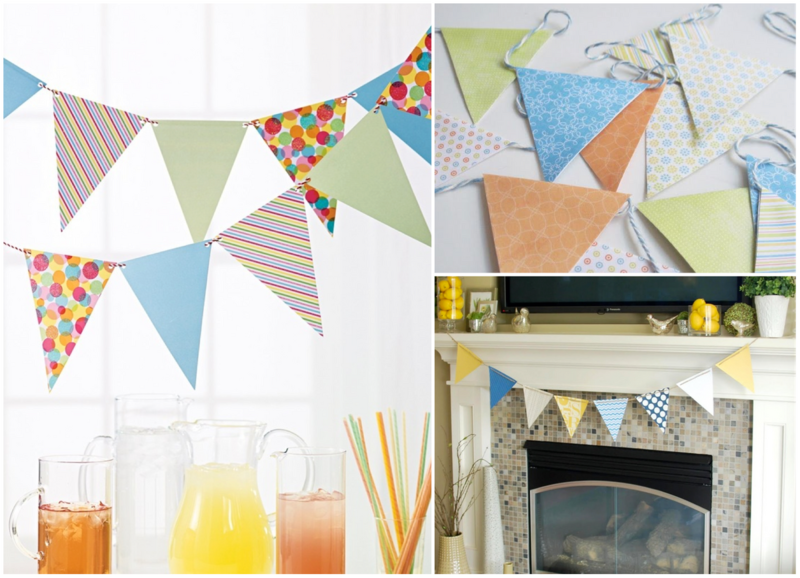 Today we are outlining 5 simple steps to make an adorable paper bunting! Buntings are great way to add decoration to a dessert table, your mantle or the wall. You can also use them to decorate your house for holidays or seasons! Step 1: Choose your papers from a scrapbook or craft store. We recommend mixing patterns from the same color palette. Step 2: Cut out the bunting shape from the papers using a template. Step 3: Lay out your pieces in the order you want them to hang and space them out evenly based on the width of where you are hanging it. Step 4: Tape or glue your favorite twine or ribbon across the backs of the pieces. Don't forget to leave space on the ends to hang it! Step 5: Hang it proudly and enjoy your creation!